In cel ebration of 100 years of the arts in St. Petersburg, the Morean Arts Center released a book on the history of the arts titled Morean Arts Center, Celebrating 100 Years of Art & Community available for purchase now. The book is sold at the Morean Arts Center’s retail store for $24 ($20 for members) located at 719 Central Avenue, St. Petersburg, Fla., 33701. 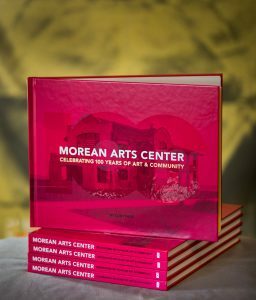 For media interested in a PDF and/or hard copy of Morean Arts Center, Celebrating 100 Years of Art & Community, please email Ciara Sibbick at Ciara.Sibbick@MoreanArtsCenter.Org. Interviews with author Clint Page, Executive Director/CEO Michael Killoren and Director of Photography Beth Reynolds are available. High resolution images from the book are also available upon request.